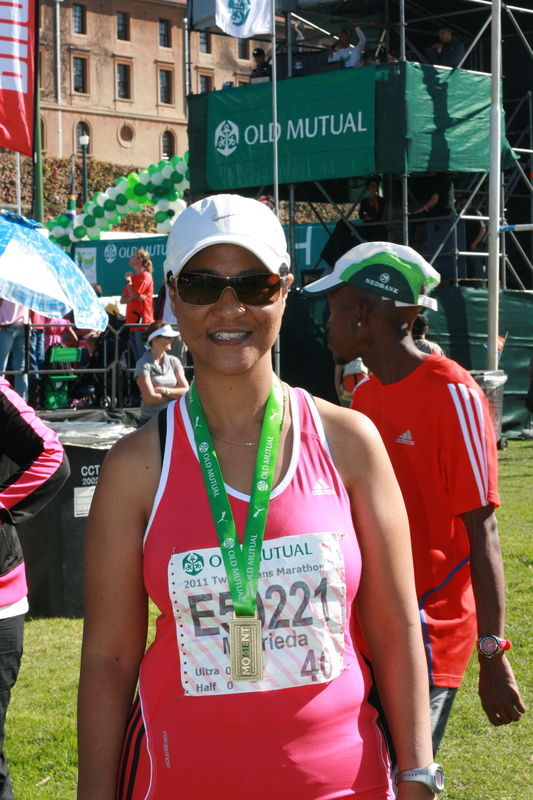 My 1st Two Oceans Half Marathon! 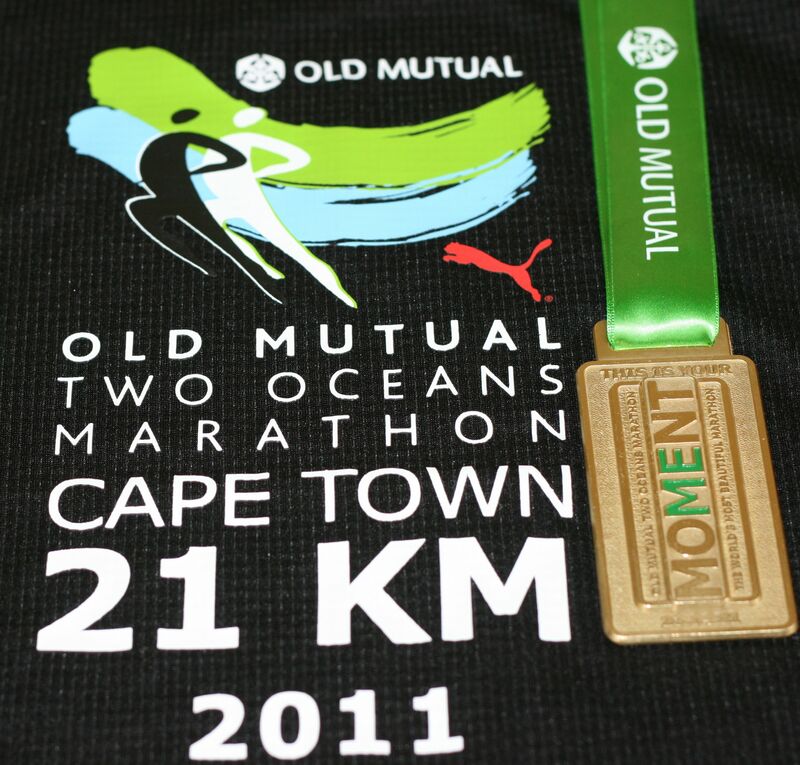 Two Oceans T-shirt and Medal...4 months of dedicated training effort! What a race! I can truly say I have never experienced anything like this before…No amount of physical training could have prepared me for what I have experienced both on an emotional and physically level. 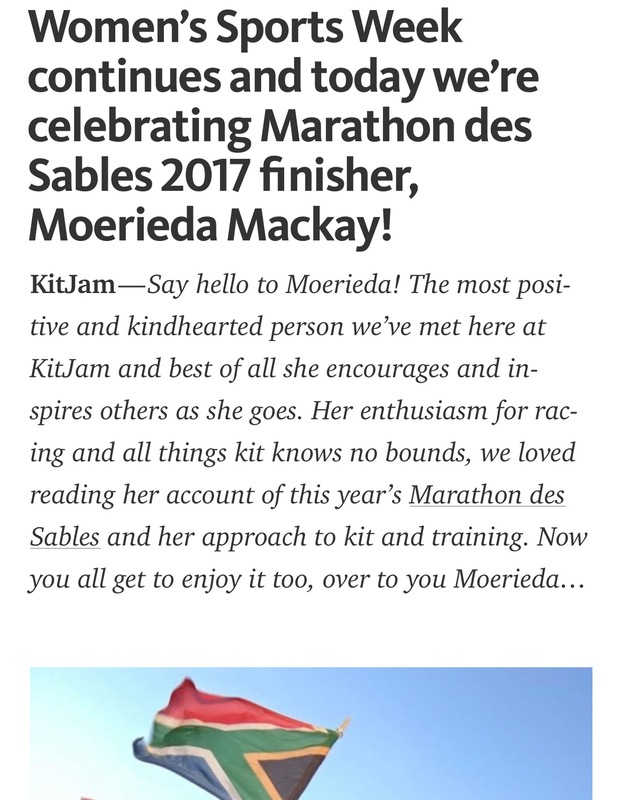 I was so excited I could not sleep the night before the race, I was a bit irritated with myself as I knew I was going to feel tired the next morning (or when I had to wake up in the middle of night). I set the clock for 3:30 as we wanted to leave at 4am so that we could be there by 5am. It turned out that when we arrived at the start there were already THOUSANDS of runners lining up. Everything was so organised. I looked at the runners as we were doing the zigzag (“up and down”) turn at the 8km mark and realised I was one of the last in the packing order :-(! This has never bothered me before, because I knew I would past a lot of them. In this race I could not. There were just too many runners. Definitely a learning for me! Will be staying in Cape Town in 2012, in Main Rd if that is possible! It was really amazing to see all those runners on the road. Going up Southern Cross drive I could not even see the road or the hill, all I saw were runners’ backs and heads – That’s how close to each other we were running. I did not even bother running up Southern Cross (something I have trained for very hard) – that’s how crowded it was. The race was not difficult. I ran much more difficult races before, even my 1st half was a much more difficult race to run. What makes Two Oceans difficult is the amount of runners on the road. 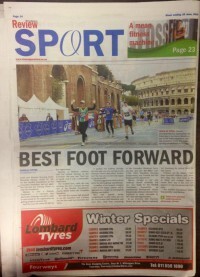 I have read somewhere that you should not try to run a PB at Two Oceans (find another race! 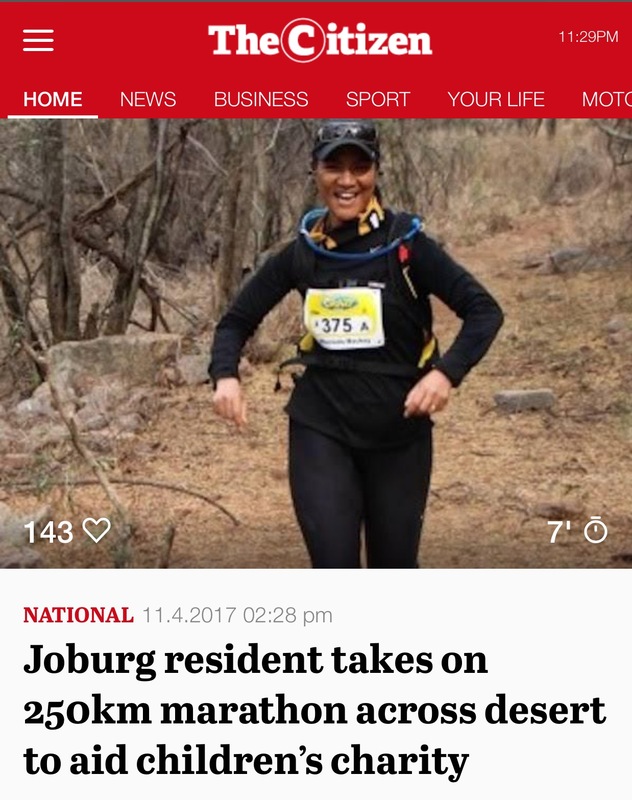 :-)…I ran the Springbok Pharmacy for my first HALF Marathon and even though the race was much more difficult I ran a better time than Two Oceans…so thanks for that piece of advice). I ran the first half of the race “slow”. I was trying to stay close to the times for running a sub 2:30, but after 10km I as 5mins behind. For some or other reason, with all the runners on the road I just could not manage to get into rhythm, find my stride and just RUN. I now understand why they are saying Two Oceans is not the place to look for PB. The last 3km (and with 20mins left to break 2hrs 30min) completely got the better of me – even though that was probably the only time I felt that I was running “faster” I was too tired at that stage to maintain a pace of 6min/km. I knew I was not gonna break a PB. I was a bit disappointed at the time, but as I ran into the sportsground and heard the crowd screaming and cheering everyone on I knew that this is what Two Oceans is about. In no other race in South Africa you will experience this (well maybe in Comrades :-). The crowd was just awesome. I am still getting goose bumps thinking about RUNNING to the finish. 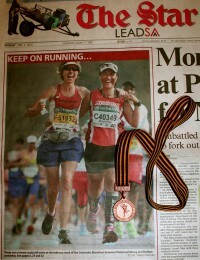 I was so tired at that stage but the adrenalin was pumping and I RAN all the way to the FINISH!! The time…2:34:01. 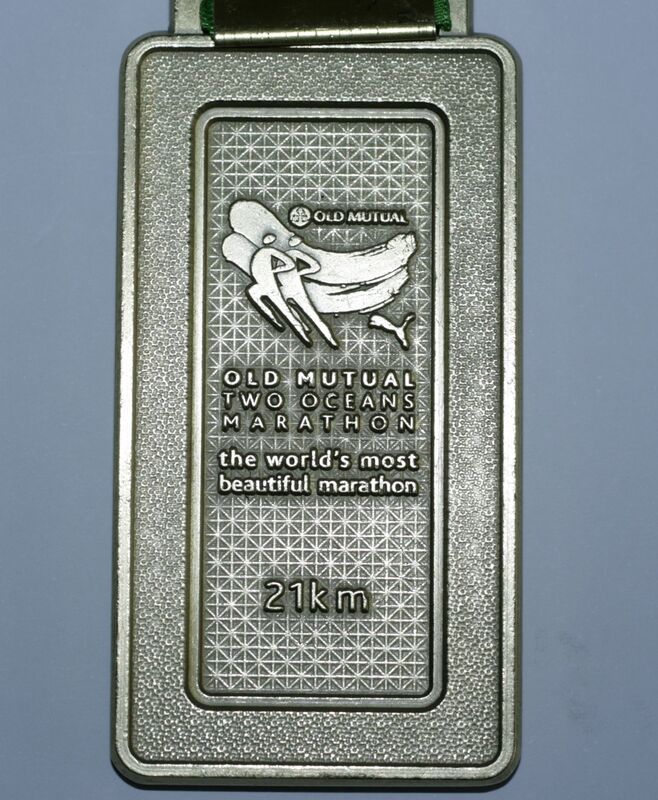 I really like this medal and the 2011 Two Oceans Theme. (This is my MOMENT – All about ME. The organisers got the theme from the lyrics of one of Eminem songs :-)). Yes, I think it is about time one is selfish. Hi there, well done and congrats on your progress so far. I’m doing my first TO Half this year (2012). a couple of questions. What time does one reasonably need to get there to find parking, get to start et al. Is 5am ok, or earlier? Secondly, how long after the gun did it take to reach the start line? Lastly, the photo at the top of your blog – obviously a few k’s down the road because the sun is up. Is it really as crowded as that photo most of the way round? I was hoping to do a sub-2 but if its that crowded think it may be a non-starter. Thanks in advance for your advice. 2. Gun to crossing the start…I cant honestly say, everyone was warning me that it will be like 50-10mins…I think it was more like 3mins…it was really not that big a deal. Just remember that last year there was 13000 doing he half, this year there is 16000 so things might be different. Organisers also change the route to alleviate congestion at the start which might help..once again, don’ worry to much this. 3. The half is congested ALL THE WAY. 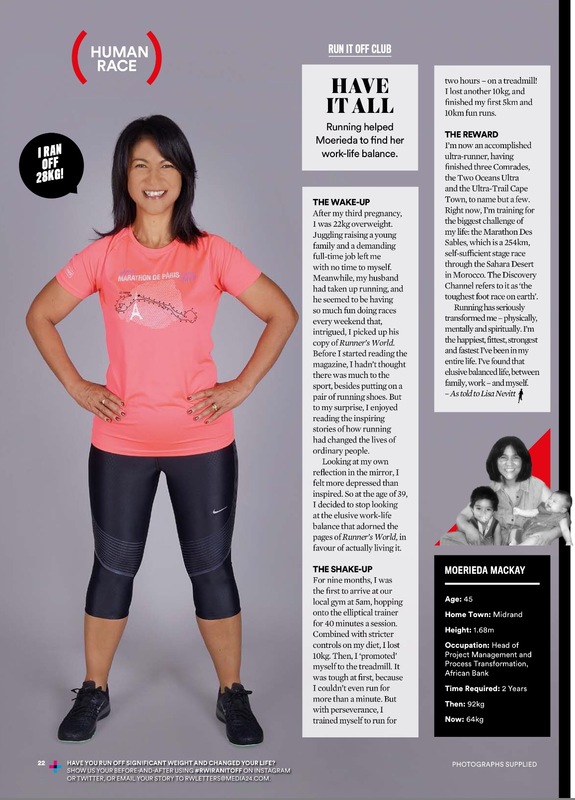 Not sure what your PB is for the half – EVERYONE warned Two Oceans is not the race to try for a PB…It;s true – with so many people it is going to be difficult. Maybe with the changes in the start you can get your gap at the first 2km hill when most people will probably walking, just to break away from some of the slower runners. I remember it was so frustrating going up southern cross, you had to walk, cos there were so many people…I just saw head moving, could even see the road! Wishing you all the best with your race on 7 April (let me know how it went)…. 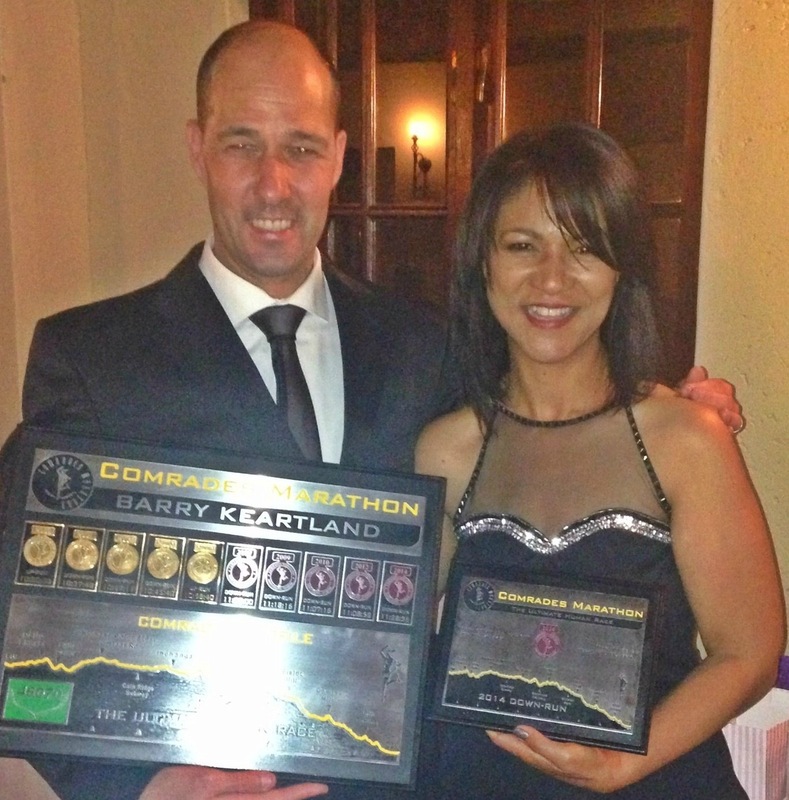 Congratulations on your first Two Oceans. I think of all the research i have done on the blog, this is the most accurate. It paints an accurate picture of what I should expect. I am running the 2013 race for the first time. Its actually my first marathon. I am an Investment Banker and about two weeks ago I decided i would run the two oceans marathon. 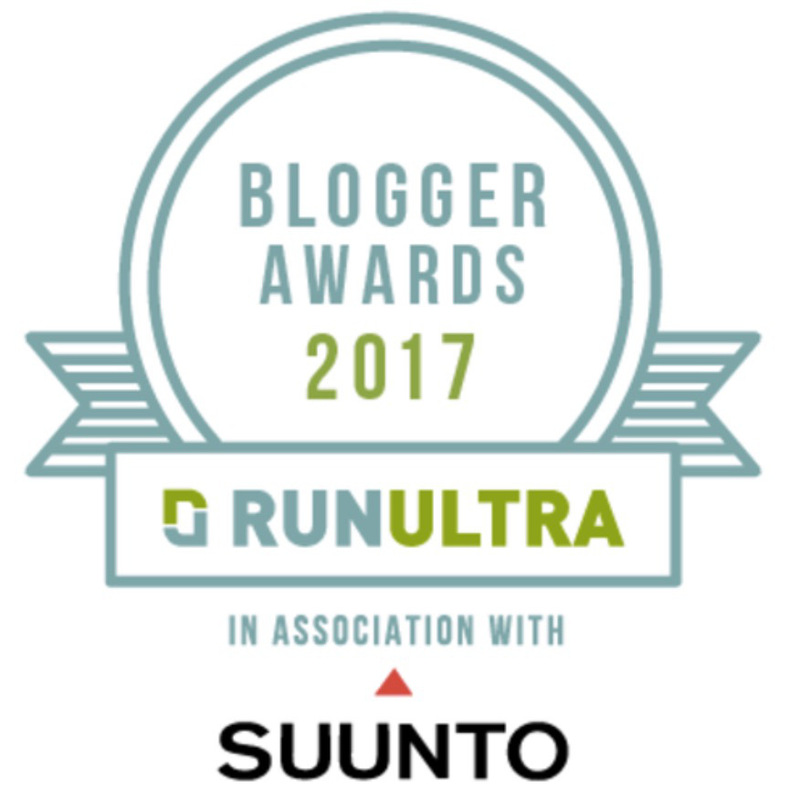 Do you have any tips to give about pre race preparations? Wow, thanks for the compliments Lu. Well done on your decision to run Two Oceans. Training for and running the race is an awesome experience. You will not regret it. 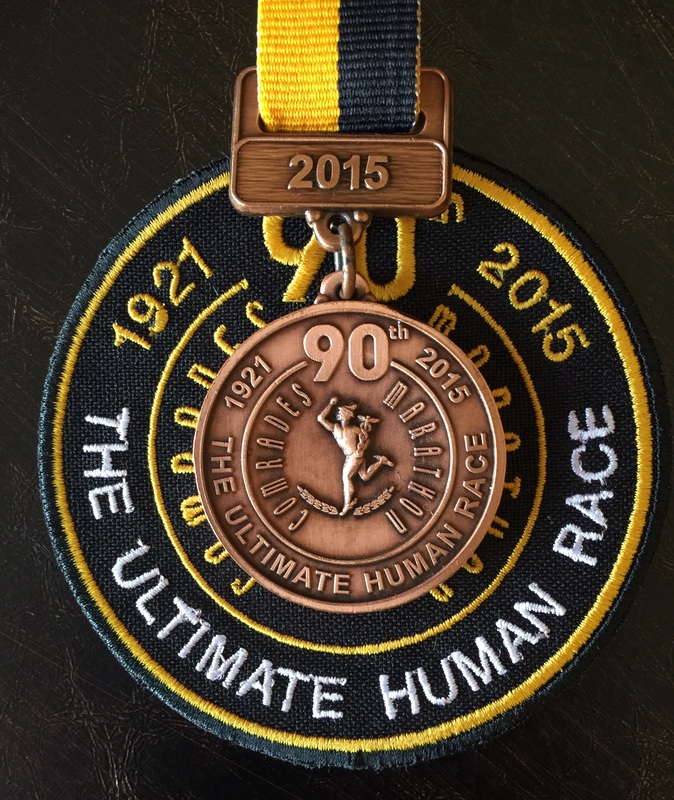 Are you doing the half marathon or the ultra marathon. Depending on how fit you are at this stage you would need to build a good base first. Best to start right now. There are some good training programmes for two oceans that has just been released. 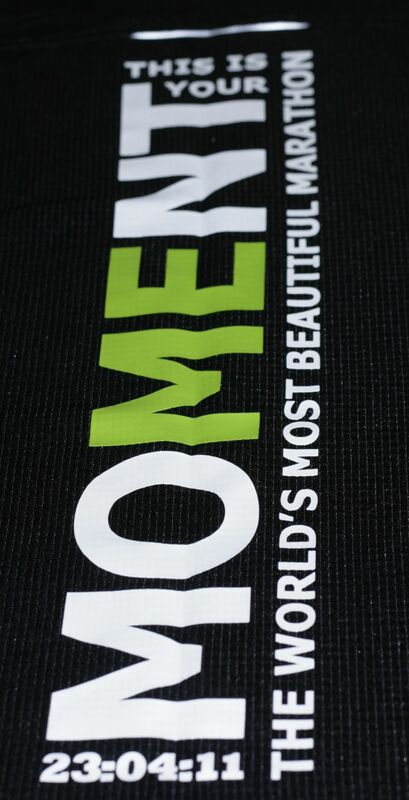 You can find them on the Runner’s World website and also on the Old Mutual Two Oceans Marathon Virtual Coach page. Tips?..do the hard work in the week and the sunday long runs will take care of themselves. Have fun!